No prep veneers are porcelain veneers that are made without preparation of the tooth structure, a customised impression taken and the veneers are made using state of the art ceramists. Conventional porcelain veneers, these veneers are also made of thin shells of porcelain the process involves removing a small amount of tooth structure to make room for the veneers. 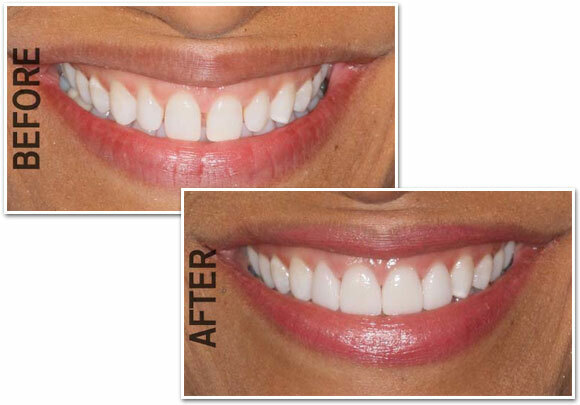 A custom impression is taken and the veneers are made to the size and shape required for optimal aesthetic enhancement. The veneers are secured in place by cementing them to your natural teeth. You’ll be able to smile more confidently and you will barely feel that you have porcelain veneers attached to your teeth.Once the veneers are bonded to your teeth they are undetectable and you have the smile of your dreams. At our dental clinic in Parramatta, we carefully assess the pre-existing condition of your teeth, the shape and size of existing teeth, we carry out important diagnostic steps and measures before carrying out the treatment to ensure the proposed shape and size of the veneers will suit your face and smile, this gives you the opportunity to be fully satisfied with the outcome before starting the process of making the veneers.